Presented by Antonio Loro, M.U.P. Automated vehicle technologies are advancing rapidly and have the potential to produce major impacts on urban mobility and land use. 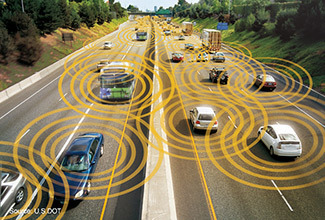 This presentation will provide critical discussion of the state of the art in vehicle automation technology, the capabilities and limitations of the technologies, their potential applications, timelines for adoption, potential impacts on road safety and on the efficiency of infrastructure use, and the resultant likely impacts on mobility and land use. Antonio Loro is an urban planner with subject matter expertise in the implications of emerging road vehicle automation technologies. He is currently conducting research for the City of Edmonton on the implications of automated vehicles for local planning in the near term to long term. In research conducted in partnership with TransLink and Metrolinx during his Master of Urban Planning degree at McGill University, he investigated the impending travel and land use impacts of vehicle automation. Most recently, at the Ministry of Transportation of Ontario, one of his roles was to support the development of a regulatory framework for the safe testing of automated vehicles on public roads in Ontario.